Thought the revamp of Rapture in BioShock Infinite's Burial at Sea DLC looked great? Well, the iconic underwater city looks even better in the latest version of Unreal Engine. 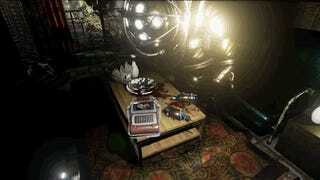 YouTuber/indie game developer noodlespagoodle took assets from BioShock 1 and dropped them into Unreal Engine 4. It's quick work but the results are still impressive. The environments look more water-logged and ruined than ever before and you can feel the the ominous energy coming off the Big Daddies—even without their signature drills, which were a separate design element. Makes you want to go back to Andrew Ryan's failed utopia right now, doesn't it?